The unique front roller on the Worksite Pro Roller Levels gives you total control for contouring, grading, cutting, and smoothing flat or significantly sloped terrain. The RL84 pulverizes clumps and clods for a smoother finish in loose soil. 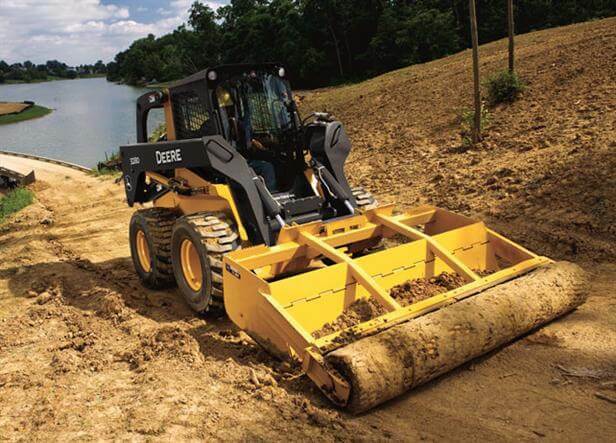 Like all Worksite Pro attachments, these roller levels are optimized to perform with John Deere skid steers and compact track loaders, and are compatible with most competitive models.